Diversity Weekend, open to all admitted students, features programming highlighting Case Western Reserve University's inclusive culture. 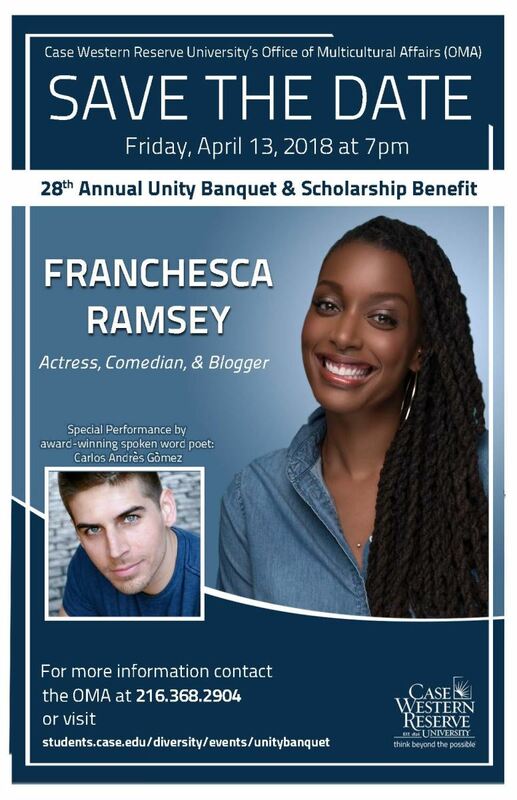 The highlight of the two and a half day program, which includes optional overnights on campus with a current student, is the annual Unity Banquet, which celebrates the academic accomplishments of current and future Case Western Reserve students. Parents of students attending diversity weekend are also invited to attend the Unity Banquet. A detailed schedule and list of available classes will be available on this page one week prior to the event. Schedules will also be distributed at check-in. Diversity Weekend takes place over CWRU's Admitted Student Program Thursday and Friday. View the preliminary schedule and class list for the Admitted Student Program. Information on admission and financial aid. Academic sessions led by world-class faculty. Tours of many of lab spaces. Interested students must sign up in advance during program check-in. Tours of campus and residence halls. The option to sit in on classes while they are in session. We request that only prospective students sit in on classes. Optional Overnight: Admitted students have the option of spending the night on campus with a current Case Western Reserve University student and get an inside look at Case Western Reserve life. Overnights may not be available to students who register less than 72 hours in advance of the start of the program. Parent Reception: Parents of students staying overnight are invited to a parents-only late-afternoon reception with university faculty and staff.